Singapore’s approach has matured rapidly to make the city one of the leading jurisdictions for Open Banking in the region. The groundwork was done as early as 2014, under the government’s Smart Nation Singapore initiative to drive the adoption of new digital technologies, starting with open data and payments. In May 2017 MAS, the International Finance Corporation and the ASEAN Bankers Association launched the ASEAN Fintech Innovation Network. AFIN aims to accelerate financial sector development, boost access to finance, improve the customisability of products and reduce banking costs in the region. AFIN is scheduled to launch their Industry Sandbox, which will sit between banks and fintechs, in late 2018. This interoperable and scalable infrastructure will act as a method to standardise banking infrastructure and data while also allowing institutions to test applications. 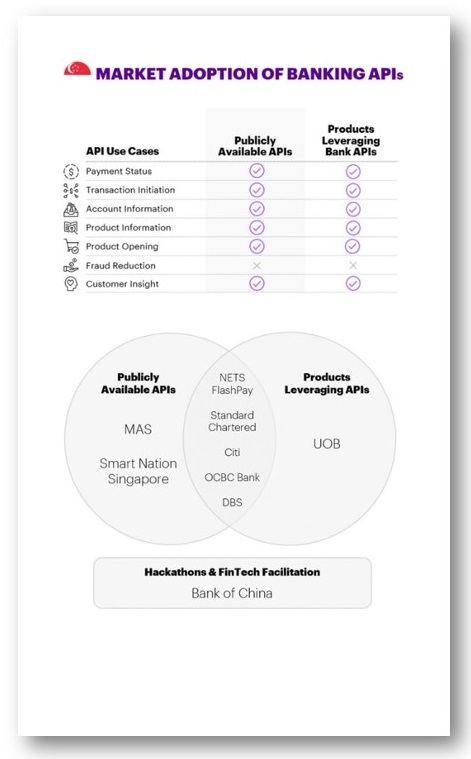 The reason for the regulatory light touch is principally because banks in Singapore see the opportunities of the technology and are already keenly pursuing them, with competition driving innovation.